While the government has been transparent in sharing the results of the study, the report itself is a scientific one that is amenable to various interpretations. Often, pesticide residues on food are interpreted as dangerous and life threatening. However, the fact is that these residues are benchmarked with Maximum Residue Limits (MRL), which is the maximum amount of pesticide residue that is legally permitted on food product having no or negligible impact on human health. In India,the Food Safety and Standards Authority of India (FSSAI) fixes MRL, for each pesticide that is registered based on stringent evaluation of independent scientists. The MRLs act as indicators for the correct use of pesticides. 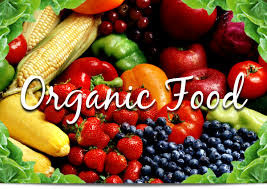 The government’s report shows that out of the samples of vegetables, fruit, and selected food items collected from various markets, including organic outlets located at different parts of the country and tested in government labs, 2.6 per cent of the samples exceeded MRLs. This is also buttressed by an ICAR report which observes that only 2.6 per cent of the samples exceed MRLs. However, interpretations of these results need introspection. Farmers in the country, including small farmers, are intelligent and quick to adopt new technologies in crop protection. But, some of them also tend to practice these techniques and use these products incorrectly. It is important to note that residues occur due to incorrect use of pesticides in a manner that is not conforming to the label recommendations. Today, farmers have the option to go for a number of newer, safer and far less toxic chemistries introduced over the years. There are also many initiatives which are underway on training farmers on safe and judicious use of pesticides. The government has also launched the ‘Grow Safe Food’ campaign based on the five essential principles of judicious pesticides use – application of pesticides on the right crop, against specific pests for which the pesticide has been approved, at the right time, in approved doses, and as per approved method of application. Despite this, residues continue to show up. While it is not argued that food containing higher MRLs are not good to eat, at the same time, it doesn’t pose a grave risk either. For instance, in the EU, during the year 2013, out of the 80,967 samples tested by the European Food Safety Authority, 2.7 per cent of the samples were found to have residues above MRLs. This does not mean that food produced in Europe is unsafe to eat. 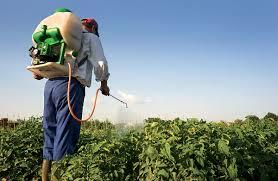 India’s pesticide regulator, the Central Insecticides Board and Registration Committee, after stringent evaluation of their efficacy and human safety, registers pesticides for use on specific crops, for specific pests and in a prescribed manner. All of these instructions are clearly mentioned in the labels and leaflets available inside the pesticide packets sold through licensed dealers. Therefore, it is important to present the right interpretation of residue data and a balanced view of its impact on human health. If not, such reports can create chaos, impacting food production and food security on one hand and scaring the consumers on the other. Our farmers toil hard to produce more and keep the nation well fed, and crop protection chemicals are a very important tool in their hands to protect their valuable crop from huge losses to innumerable pests. This is so helpful in knowing residue level in fruits and vegetables. Food safety is really informative post this is health related fruits to eat and health this is informative post! !